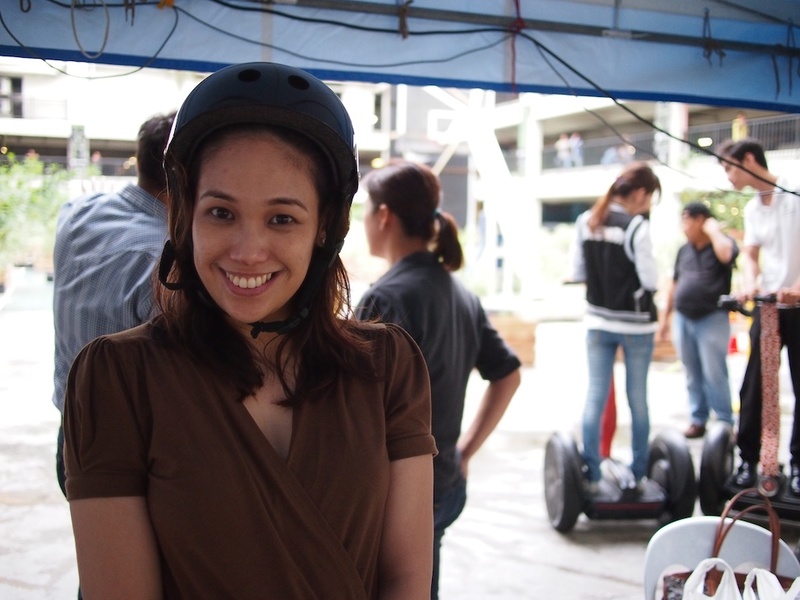 TOPAZ HORIZON: I got to ride the super cool Segway! And it was soooo much fun! Actually, to be truly honest, it was terrifying. But only because when Vince and I arrived at the Segway Stadium at Power Plant Mall, the very first thing they do is show you a video of the many terrible things that can happen to you should you use the Segway improperly. Bad hair, no makeup! 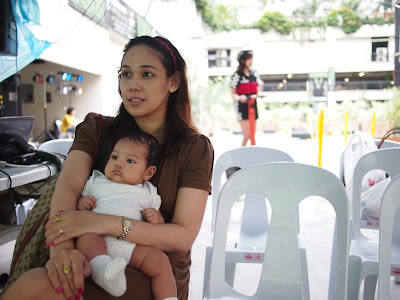 Stare at my son na lang. Iñigo's so cute! We watched a safety video first so we won't do any stupid stunts! I was a bundle of nerves, I tell ya! But because I was already there, there was no way I was backing out. 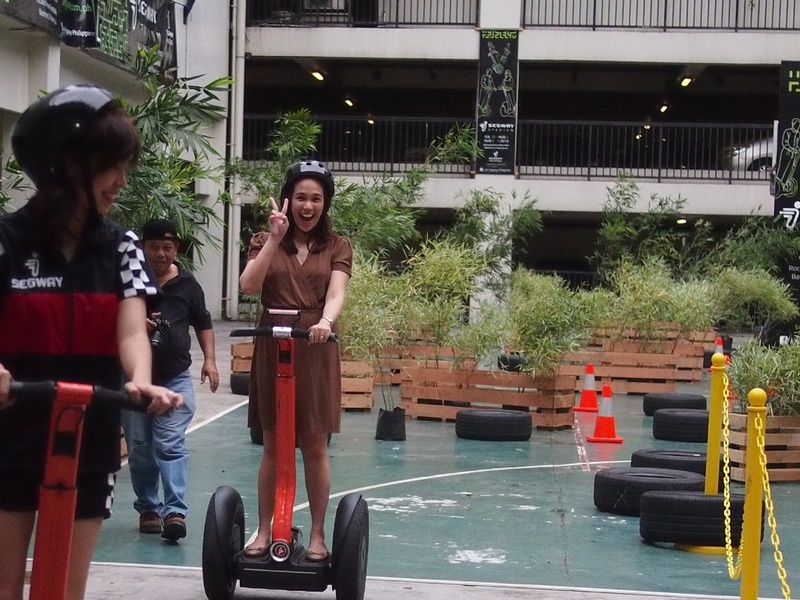 You only live once, as the saying goes, and I was there because Nuffnang and Segway invited Vince and me. How rude for me to go, "Thanks, but no thanks!" And hey, how scary could it be? It looked more fun than scary. And, to my immense relief and delight, it really was so much fun! Safety first! 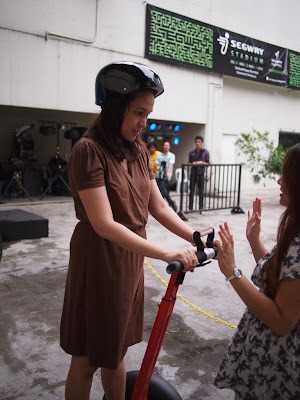 Wear a helmet! Lean forward to move forward and to accelerate. Lean back very carefully to reverse. I practiced the forward-sideways-backward sloooowly. It wasn't scary at all. It felt very instinctive. Like, if you get up on it, the machine responds to your slightest movement and you respond back. It's fabulous! 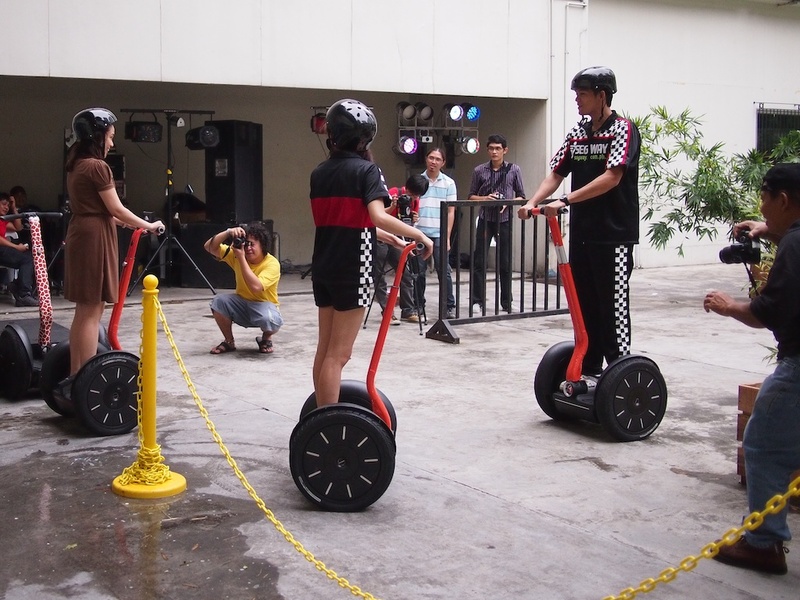 It's like the Segway's an extension of your body. The Lean Steer, or that post you hold on to, is what you use to turn left, right, move forward, backward, slow down, speed up. It's so easy to do! 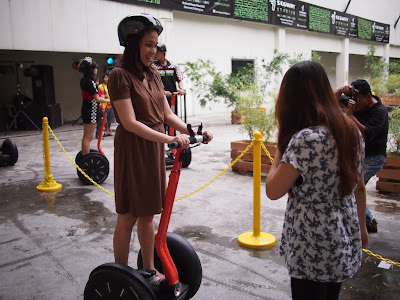 Mostly all you need to remember is just stand up straight and keep your feet planted on the Segway. Relax. Be confident. Look where you're going. Keep yourself balanced. Don't be stupid. Don't be a show-off. Have fun! Look who's enjoying herself immensely! I sooo enjoyed riding the Segway! Wait, wait, wait. Let me back up a little. 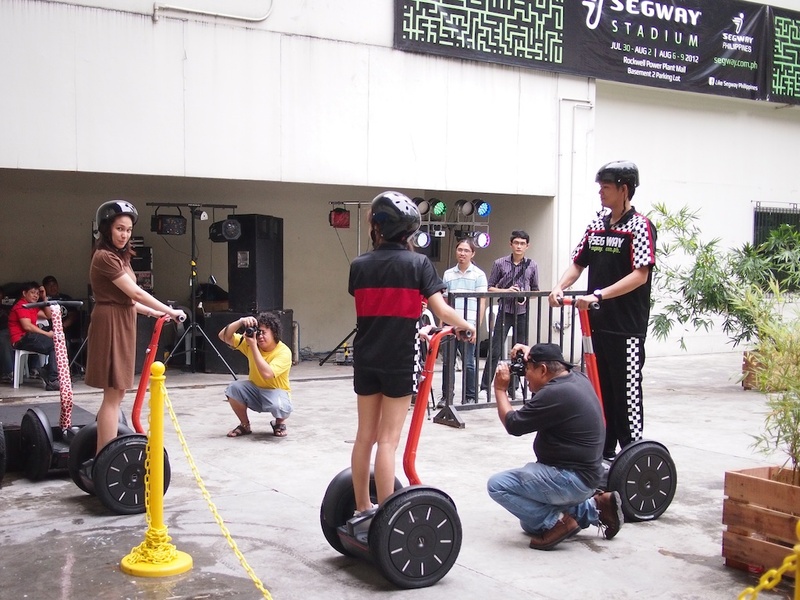 First of all, what is a Segway? 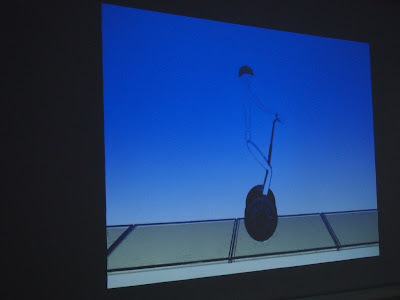 Its full name is the Segway Personal Transporter. It's been around for a decade now and it's finally here in the Philippines. It's the first electric two-wheeled, self-balancing transportation device. It's perfect for people who live in large subdivisions, work in big companies, study in large campuses. Mostly, it's being snapped up by resort owners and tour group businesses so that their guests can explore in comfort. On Segway's Facebook page, you can see the resorts that have bought the device. And it's used by beauty queens, too! Well, Vince and I had so much fun. I kept telling Vince, "Can we buy one? Can we buy one?" Haha! P.S. Want to try it out yourself? 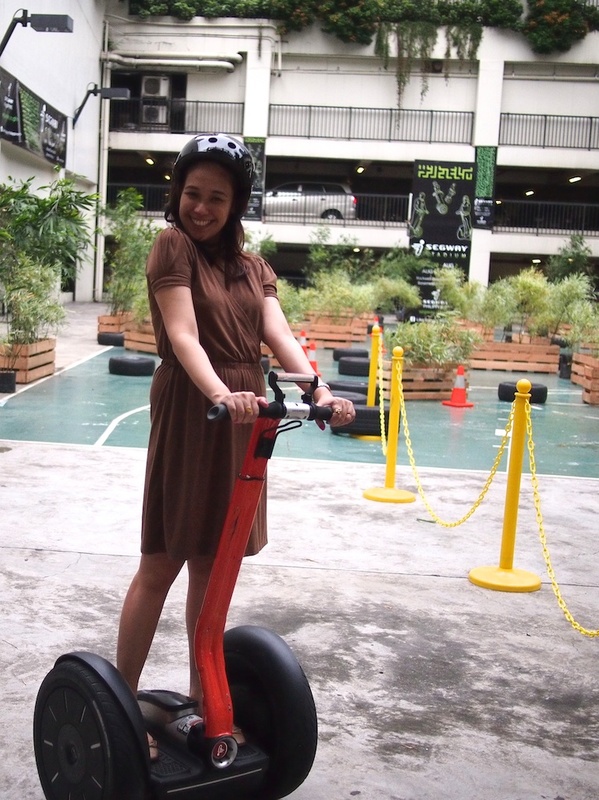 There are Segway Circuits at Residence Inn in Tagaytay and Zoobic Safari in Subic. There'll also be circuits in Boracay and Enchanted Kingdom soon! Fun fun fun!